Have you ever looked at your inbox and seen messages that seem to refer to your past actions? They might have a subject line like “You haven’t opened the last one, but you should open this one.” Others might taper off and stop arriving if you haven’t opened messages from the sender in a while. They aren’t hacking your inbox or spying on you; they’re tracking the emails they send you. Email tracking is a very useful tool for email marketers, and as consumers, we should all be aware of what is being used to harvest information about us. There are two methods of tracking email. The first are read receipts, and the second is the tracking pixel. There are a few problems with this. First of all, the recipient has to actively confirm that they want to send the receipt; they don’t have to. 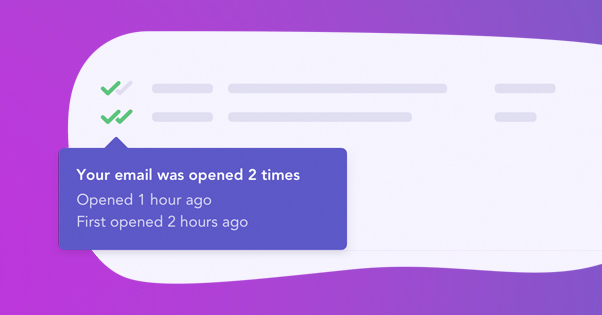 Second, not all email clients support read receipts, so you might send a message with a request for one, only to find the recipient never sees it. Different email systems use different protocols as well, so even if the user has read receipts, they might not have your format. Read receipts are useful in an internal business situation where you want accountability for sending communications. If you send a critical message to Bob in accounting and later Bob claims to have never received it, you can pull out the receipt as a paper trail. For e-commerce, newsletters, and other forms of email marketing, however, read receipts are a disruptive and ineffective method of tracking metrics. Imagine if Google Analytics only showed data about your website visitors if those visitors used one specific version of Chrome and opted in to being tracked. You’d miss out on virtually all of your data! The tracking pixel is the primary way email is tracked these days, particularly for business, sales, and other such uses. 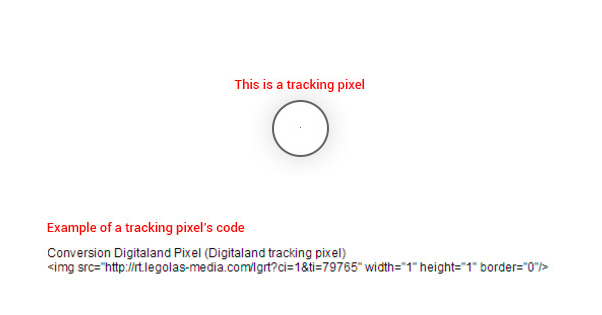 The tracking pixel is exactly what it sounds like: a 1px by 1px square image embedded in an email. Most of the time, this image file is transparent or colored to match whatever the background of the email is, color-wise. It’s effectively invisible unless you inspect every email you receive via its raw HTML. In order to load an image, the image needs to come from somewhere. Emails don’t attach their images to the email itself, they operate just as images on a website do: embeds from another portion of the website. In this case, you can liken it to a CDN. If you load a page and need to load an image from a CDN, the server makes a call to the CDN to request the image for loading. The CDN can see what image was requested and when, and can track that usage information. Email tracking pixels are no different. When you open an email that has a pixel embedded in it, in order to display the email properly, the email client needs to call for that pixel to load it. That call pings the sender’s server to load the image, which is a trackable event. There’s a lot of sophistication behind the tracking pixel. The information it sends along includes items like the address of the person opening it, their IP address, and the date/time when the message is opened. There’s nothing private about it; you need to sign up for a mailing list to receive the message, so you’ve already given the company your basic information. Incidentally, this is the origin of the phrase “tracking pixel” in other contexts. If you know anything about the Facebook Tracking Pixel, you know it works in a similar way, except they don’t have to rely on the load of an image. They simply execute code. Still, any tracking embedded on a page is colloquially known as a tracking pixel these days, due to their common origin in email tracking. You can learn a lot of information from email tracking, which helps you refine and target your marketing and sales. I’m speaking from a business standpoint here; on a personal level, email tracking is overkill for pretty much any possible use case. Benefit: You can take advantage of useful timing. For example, with location tracking, you can tell that a potential customer is opening your message while they’re on their commute, which isn’t a great time to be making business decisions. Later, you can tell that they’re reviewing your message in their office, which is a better time to reach out and contact them. Of course, you don’t want to make it so clear. Don’t start a sales call with “so we noticed you were reading through our proposal…” That’s incredibly creepy. Instead, present the call as a standard sales call, with a coincidental timing if they bring it up. Benefit: You can monitor whether or not your campaigns are effective. An email with a bad subject line is a lot more likely to be ignored than one with a good subject. If your first campaign has a 65% open rate and your second campaign has an 85% open rate, you know something about the second campaign is working better. It might be timing, it might be subject, it might be something else, and you have the data to know where to start digging into it. Benefit: You can cull people out of your mailing list who aren’t opening your messages. Normally, you have no way of knowing if your messages are being filtered, ignored, archived, or opened. With email tracking, you can tell that one specific user hasn’t opened any of your messages. They aren’t a useful contact, so you can shunt them off to a secondary list for eventual follow-ups. You can maintain a tight, engaged email list, a secondary list for people who have dropped off of the first, and even a third for people who haven’t opened anything. This is most useful for smaller businesses that are using limited email management programs. If you can only send out 5,000 messages per month, you don’t want to waste 1,000 of those on people who aren’t going to open the message. It can mean the difference between using your current plan and being forced to pay more for an upgrade. 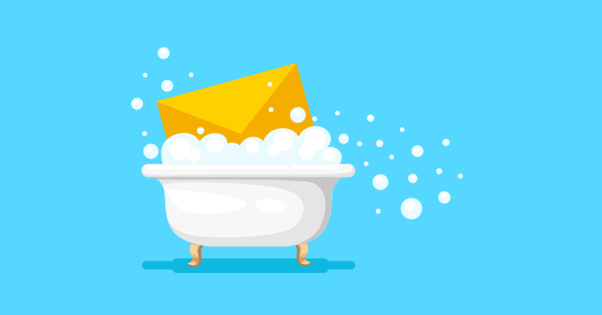 Those are just some of the major benefits of using email tracking. Gmelius has a deeper rundown here if you want to dig into it. Gmelius – I just mentioned them above. Gmelius is an email tracking and management platform that includes a wide variety of useful features, of which email tracking is only one. They also have email scheduling, recurring emails, drip campaigns and sequences, a bunch of automation, and a lot more. 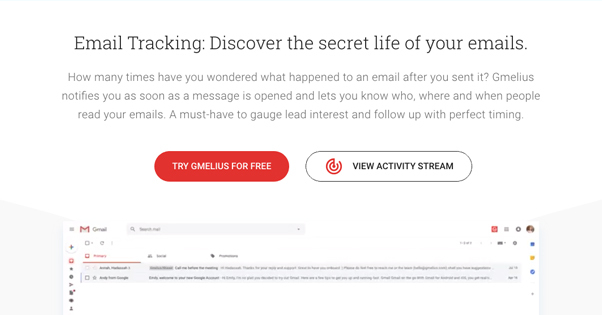 Gmelius has a free version, but the email tracking features are only available in the paid version. Fortunately, it’s quite cheap: the Premium version is only $5 per month per user. For detailed per-user tracking – rather than simple basic open rates – you need to opt for the $14 per month per user plan. It’s still fairly cheap, though. Yesware – Yesware is one of the most common email tracking systems, used a lot by small and mid-sized businesses. Unlike Gmelius, they don’t have a free version, but their basic pro version is $12 per user per month. That version includes real time email tracking, which is quite easy to set up. All you need to do is check the “Track” box when you send a message through Yesware. 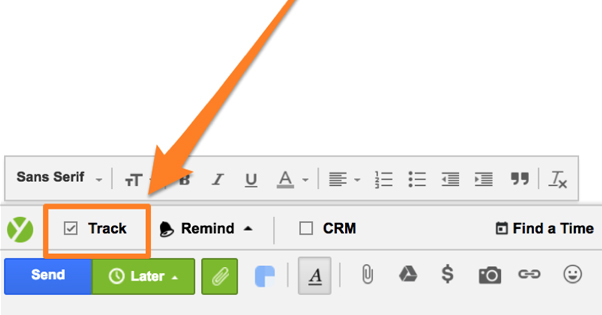 You can track opens, track when links in the message are clicked, track when attachments are viewed, and more. HubSpot Sales – HubSpot has a full CRM with a wide variety of different features, including different platforms for marketing, sales, customer service, and more. 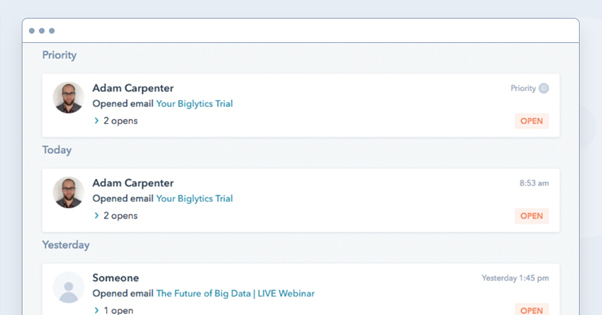 Email tracking is part of the Sales hub, in case the link didn’t clue you in. One of the primary benefits of HubSpot is that their platform gathers up data about the contacts on your list and creates individualized profiles, rather than just tracking email statistics. You’ll be able to see everything from social media links, profile pictures, and past email engagement with that contact all in one place. 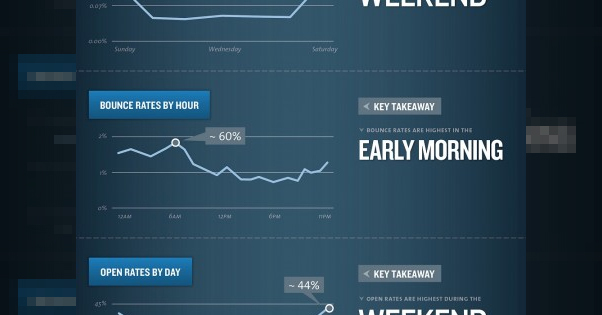 You even get a timeline of events, so you can see how rapidly a user has been engaging with your brand. HubSpot is, of course, an enterprise-level piece of software. 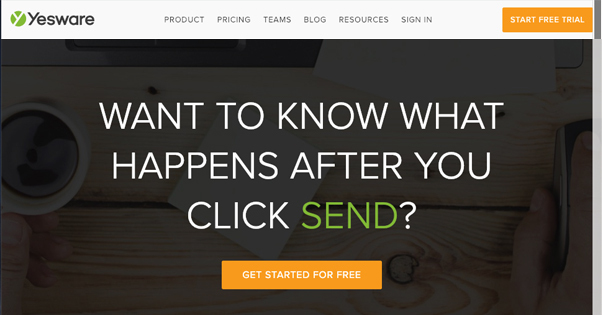 They have a free version that includes limited tracking, and will only track 200 email opens. If you need more than that, the Starter plan is $50 per month for one user. It does track unlimited email metrics, though, so it can be quite useful. Hopefully it does everything you need, or you have a significant budget, because the next upgrade is $400 per month. Others – There are a variety of other options out there. MailChimp, Constant Contact, AWeber, GetResponse, CampaignMonitor, Mad Mimi, iContact, Bronto, Emma, the list goes on. I could write an entire article just on these and their comparative features. If none of those options works for you, feel free to explore. As a user, it probably sounds a little creepy that businesses have access to this much information about you. Yet, since the tracking pixel involves loading an element in your email, is there a way you can block it? Every element of marketing is an arms race between the people who want sophisticated tracking and the people who value privacy enough to develop tools to block such tracking. Here are some examples. Postbox – Postbox is a cross-platform email app that can link up to your existing email clients and aggregate all of your messages in one central inbox. In addition to a wide variety of productivity and automation features – and a nice dark/light theme – Postbox has track blocking. Basically, when you open a message, it will notify you that the message contains a tracking pixel and blocks it automatically. You can choose if you want to load it or not. Gmail – Gmail’s new user experience actually has a built-in setting that, while not explicitly called an anti-tracker feature, functions in the same way. 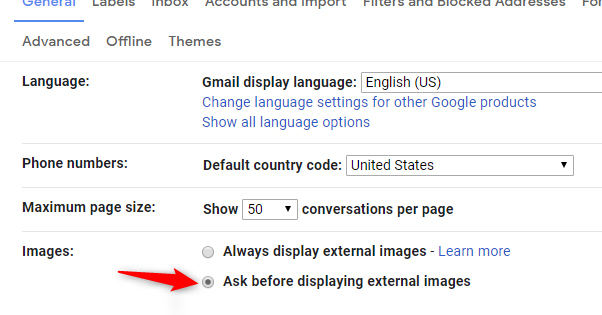 In the Gmail settings menu, look for the option “ask before displaying external images.” This will block all images in an email, good or bad. This includes the tracking pixel, though it also includes header images and body images in newsletters, so be aware of that if there are newsletters you frequently like to open. Extensions – Depending on what browser you use and what email client you access, you can add additional features to your client to block tracking. Ugly Email, for example, is an extension for Google Chrome that blocks all manner of tracking. 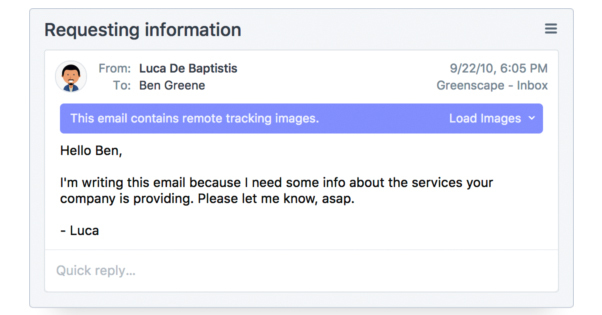 It shows you from the subject line if the email you received is tracked, and it blocks both pixels and read receipts. There are other options available as well.